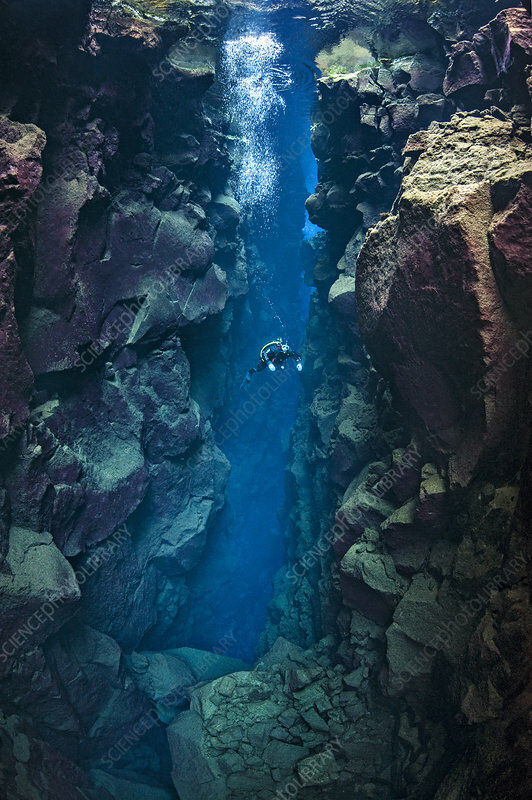 A diver explores Nikulasargj Canyon, a deep fault filled with fresh water in the rift valley between the Eurasian and American tectonic plates at Thingvellir National Park, Iceland. May 2011. In this photo the American plate is on the left and the Eurasian plate is on the right. The burgandy colour on the rocks in algae growth. This canyon is usually closed to divers and was photographed with special permission of the Thingvellir National Park.